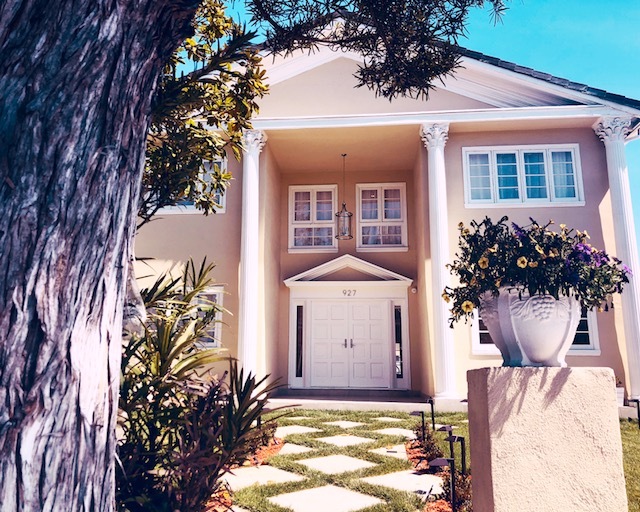 Passages Brentwood offers a safe and comfortable sober living environment that will have you feeling right at home as you thrive in your new-found sobriety. Contact us today at (855) 878-8901 for more information. When Passages Addiction Treatment Centers opened its doors in 2001, father and son team, Chris and Pax Prentiss envisioned an organization that would help serve as many people from all over the world who struggle with substance abuse related issues. They were focused on using state of the art holistic treatment remedies which set them apart from all other treatment centers in the world. They embarked on a unique journey of helping people discover and heal the underlying conditions causing their substance abuse related issues and completely break free from the brutal cycle of addiction. Fast forward 17 years, and that is exactly what they have done. Outside patio where you can soak up the sun with your housemates or enjoy quiet time reading by the pool. It is without a doubt that Passages Brentwood is a wonderful place to be as you transition from rehab and back into society. The 24/7 house staff is there to assist you as you go through the transitioning process and provide support and safety so you can live comfortably with absolute peace of mind. You can feel at home at Passages Brentwood and know that you're in the best care available. The success of Passages is credited to the empowering non-12 Step philosophy created by Chris and Pax Prentiss that you do not have to forever labeled or imprisoned to believe that once you are an addict, you are always an addict. In fact, the philosophy at Passages is opposite. They offer their clients the tools they need to transform from someone who was once deep in the trenches of their addiction, struggling to overcome the many symptoms and causes of their addiction and finally be free. This philosophy was designed around the customized program that Chris and Pax created to help Pax end his battle with addiction nearly 18 years ago. Pax was badly hooked on heroin, cocaine, and alcohol. It wasn’t until his father, Chris began asking Pax why was he doing this to himself that he realized what was driving him to turn to substances to cope with life. Once Pax realized the reason why he was using drugs and alcohol, they began a holistic treatment program catering to Pax’s specific needs so that he could heal his mind, body, and spirit and go on and live a thriving life addiction-free life. Today, Pax leads Passages Addiction Treatment Centers as the CEO and oversees all of the day to day operations. He stays involved in every aspect of the business and spends one-on-one time with clients as they are in treatment. His devotion to helping others gain the strength and mental clarity he now empowers so many people from all walks of life, and it is something he feels truly passionate about; helping those struggling to break free from substance abuse related issues. Both father and son, Chris and Pax Prentiss work diligently together in seeing that all clients at Passages are treated with professional and genuine care. 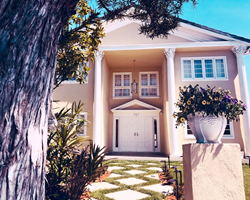 Founded by father and son duo, Chris Prentiss and Pax Prentiss, Passages Malibu opened in 2001 with its second location, Passages Ventura, opening in 2009, then Passages Venice Outpatient Rehab in 2015, and Passages Beverlywood in 2018. The three drug and alcohol abuse treatment centers offer an alternative to the 12 Step/AA model of addiction treatment by taking a holistic approach with an innovated program that focuses on the underlying issues of substance dependency, rather than suggesting that addiction is an incurable disease. Passages Malibu, Passages Ventura, and Passages Venice have all earned the coveted JCAHO (Joint Commission on the Accreditation of Healthcare Organizations) accreditation, which has only been given to 6% of the nation's behavioral health treatment programs.